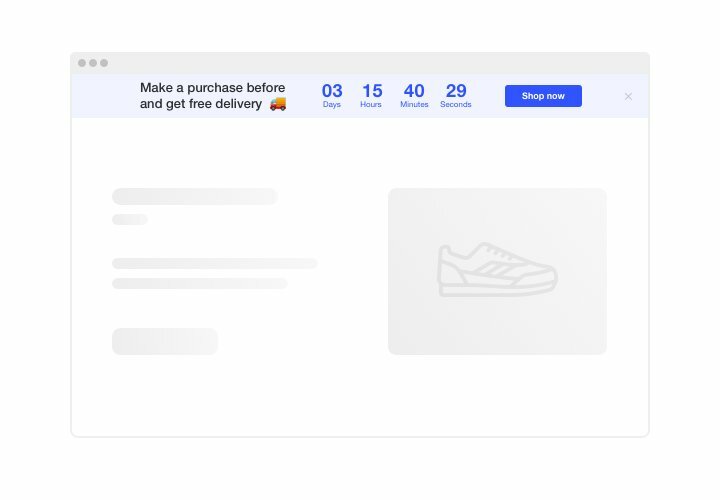 Use Elfsight Countdown plugin to create all possible kinds of counts and timers that push visitors to shop. 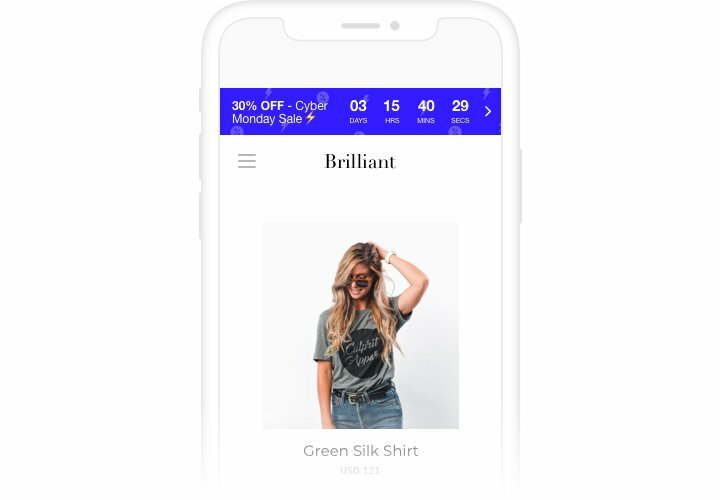 Stock or sales count will bring a feeling of scarcity and competition; sale countdown will stimulate shoppers to purchase before they miss low prices. 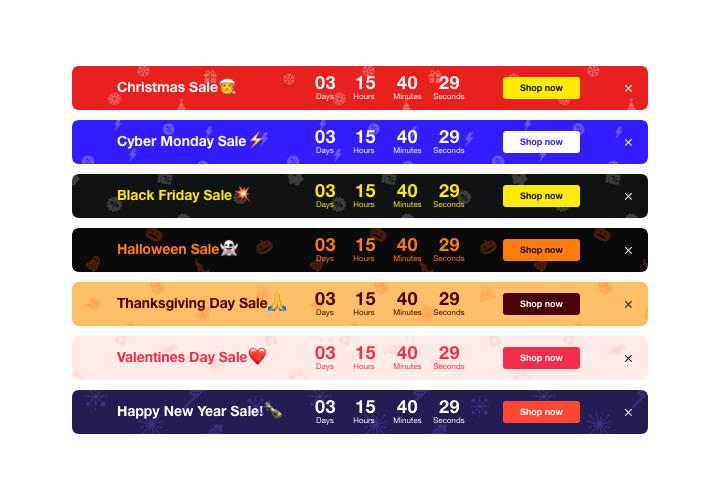 A personal countdown will encourage each person to use a personal deal faster; holiday sale banners will attract attention thanks to theme design. Make your events and sales unmissable and draw more purchases. Encourage customers to buy by setting a feeling of urgency. Make your audience sense a fear of losing your low prices time and sale showing time ticking down to the end of it. It will make audience purchase quicker and lift sales on your website. 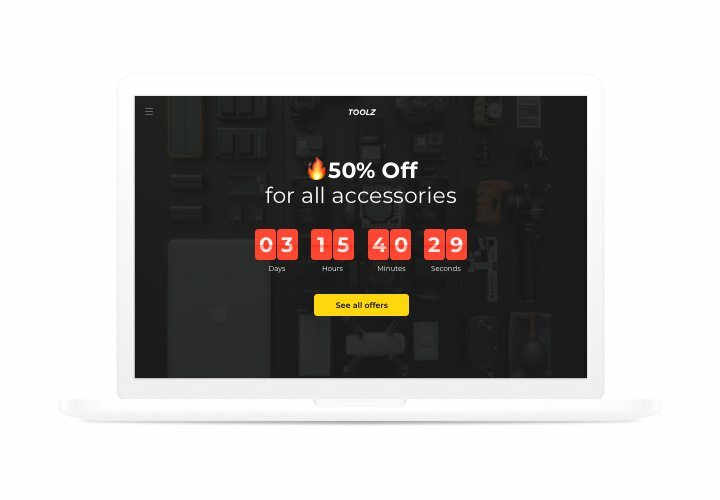 Show a decreasing stock of your items and convince users to buy. Demonstrate that your items are being sold out quickly and becoming scarce, with a special stock count. It will make audience value the items higher and become eager to have them too. 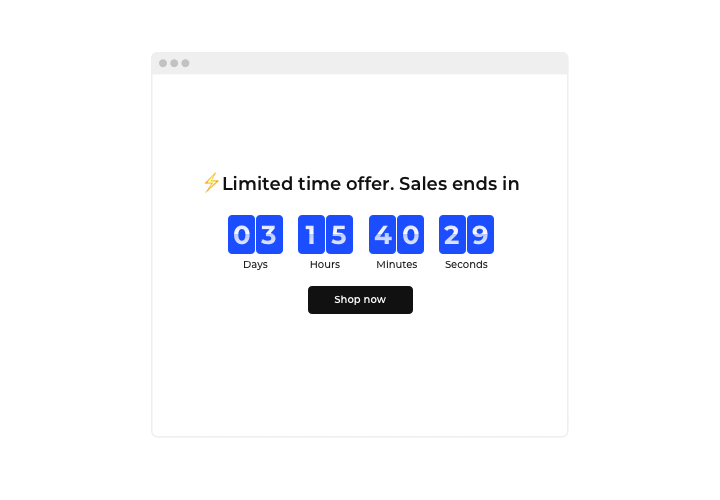 Attract more attention to your sale period using a special holiday-style countdown bar. With eye-catching theme bars, you can demonstrate your seasonal offers and sales and reach more audience. Use holiday time to the maximum to level up sales on your website. A quick tutorial on shaping and adding the widget to your website. No special competence in development needed. Full time of tutorial implementation is not over 2 minutes. Acquire and integrate the plugin. 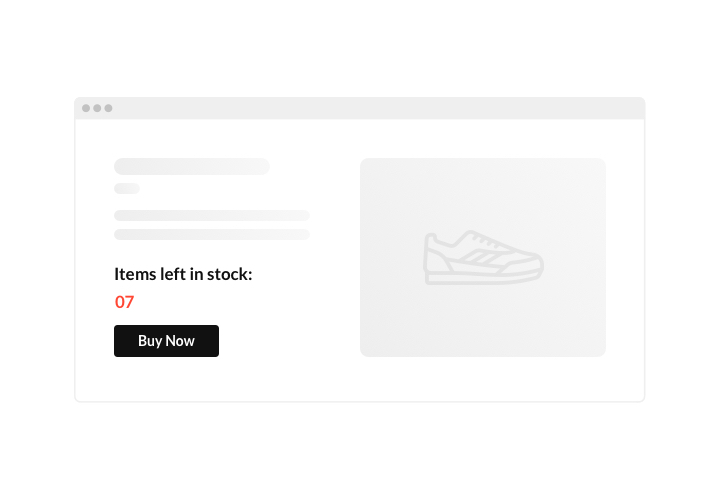 On the plugin page, choose «Add to Cart», to purchase the plugin. Next, enter the admin panel of your WordPress website, go to «Plugins» section, and install the plugin. Specify the parameters of Countdown plugin and get the code for installation of the plugin to the website. Paste the code on the site. Find the page where to insert the widget and insert the plugin code there. Apply all the edits. Go to your site to see your plugin! Having difficulties or questions while following the tutorial or setting a customized plugin? Leave a request at help center and support team will be pleased to help you in shaping and inserting plugin on your website. Install a WordPress Countdown Timer on your site in 60 sec!